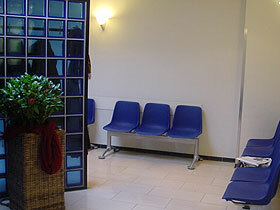 The costs for treatment for Dutch residents are reimbursed by the Ministry of health, welfare and sport. Full anonymity is guaranteed. To determine whether you qualify for a reimbursement of the treatment, we need your medical insurance card or your health insurance policy. You are required to bring proof of your identity by providing a passport or a national identity card. Non-residents are personally liable for all the costs incurred and payment must be made before the actual treatment can begin. The Dutch government (NZa or Nederlandse Zorgautoriteit) has approved the rates. You are required to bring proof of your identity by providing a passport or a national identity card.